The Solid Waste Association of North America (SWANA) hosts the only national conference for solid waste professionals by solid waste professionals. 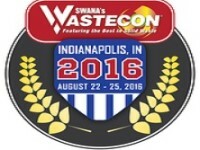 This August, that conference – WASTECON® – is coming to Indianapolis! WASTECON offers opportunities to see what’s new in collection, processing, marketing, and management of compost, recyclables, and solid waste through training, technical sessions, exhibits, and networking. Eco Partners is proud to be a sponsor for this year’s event in our home state. We’ll share more in our May newsletter, but for now, learn more about WASTECON and Indianapolis, the conference host city. Stay tuned!